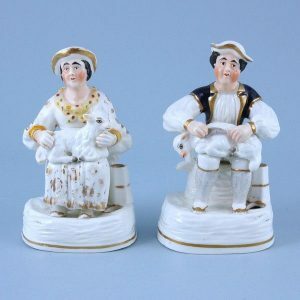 Pair of Staffordshire Porcelain Figures of Shepherds. 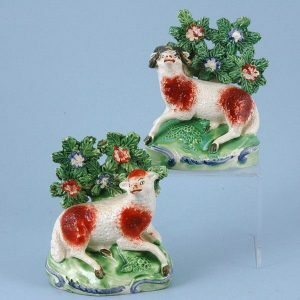 Pair of Staffordshire Pottery Models of Ram & Ewe. 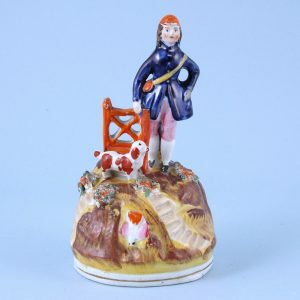 Victorian Staffordshire Figure of a Hunter With His Dog. 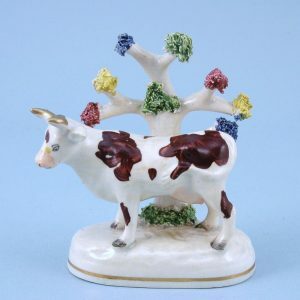 Staffordshire Porcelain Cow with Bocage. 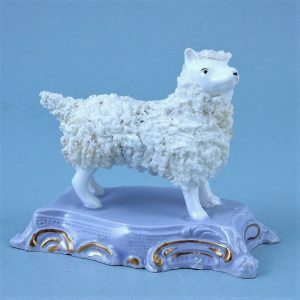 Unusual Staffordshire Porcelain Dog on a Lilac Base. 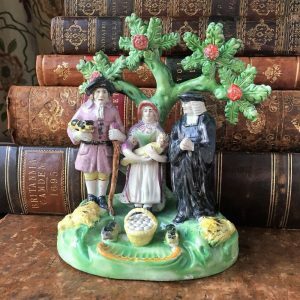 Staffordshire Pottery Tithe Pig Group with Bocage. 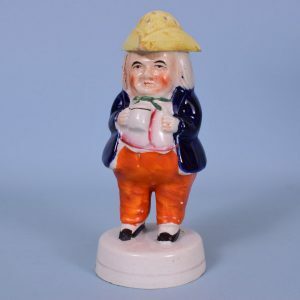 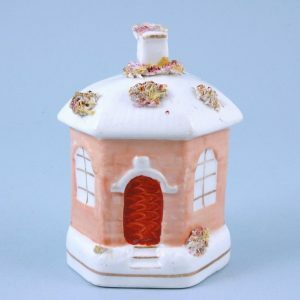 Staffordshire Toby Pepper Pot or Sugar Castor.